Lal mohon/Golap jam/lal misti which ever name you call it, all are different name for same dessert. Hope you will like. 1. First place a sauce pan on heat with 3 cups water, cardamom and sugar. When sugar is dissolved and syrup comes into boiling point, turn off the heat. Keep aside. We need lukewarm syrup to soak the sweet. 2. Mix milk powder, self raising flour, saffron and cream and make dough. Need to be careful about adding cream because we want soft dough which we can work with (don’t make too soft which hard to shape). But on the other hand hard dough will make crack on sweet. 3. Divide the dough into 18-20 balls. 4. Heat the pan on low medium with oil for deep fry. Check the oil to put a little piece of dough in the oil if it sizzles and comes up slowly .It means the oil is ready. 5. When oil is ready (don’t make oil too hot, we will slow fry them. Place the sweet in the oil with care and fry it all side till it becomes golden brown. 6. Take out the sweet from oil and straight put into lukewarm syrup. Repeat the same step for rest of sweet. 7. Soak sweet at least ½ hr and take out the sweets from syrup. 8. Serve Lal mohon/Golap jam/lal misti cold. Tips: Oil temperature is the most important part so keep your stove on low medium. You’r brilliant recipes impressed me, specialy ur desserts.I just came from bangladesh, and i missed my all foods.So ur recipes is very easy to learn. One things i have to ask that ” semolina”what is … ?Is a backing power or baking soda alternative use. Pls help, cause i am going to make a Golap Jam. Also Apa, i have a one request pls give a recipe how i can make a “Bhalu Shi” and Mehidanar laddu. thanks.i used to miss ..then starts making them…now no more missing dessert..semolina is suji.r laddu amar onno blog-e ache …i am giving link for you.http://indiancurryrecipes.com.au/the-most-popular-dessert-in-indian/…and keep on eye i will give balusai recipe soon..thank you again..
Hi !!! how ru Apa? ok Apa i made a Golap jam it was hard… no idea why. i followed ur recipe but didnot work for me. So everybody telling me i have to use little bit baking powder or soda otherwise will be hard inside. Anyway, i am going to make again. I don’t think you need to add semolina to golap jam! Maybe that’s why becoming hard? I havent used semolina in golap jam. Though semolina gives crumbly texture like chhana. It does nt make hard. Hi Apa, How ru ? Yes Apa i made it again but didnot work. However, i am gonna try again. This time i bought everythings fresh still ….. Sorry to hear that. but you haven’t told whats happen. is it to hard or breaking into pieces? if you tell me may be we can solve it. thanks. How can I get self raising flour? Sorry for late reply. Where do you live Irin? Fry it on slow heat. If your stove has 5 level of heat , fry on 3. and you can add little bit more self rising flour. Honey my one never get hard. hope you will perfect one soon. by the way where do you live? Salam Apa! How ru ?Apa i am living in Florida. Where do u live?Apa where i do live in florida very few Bangali. However, everybody making nice and delicious food all the time when pary goes.Anyway, i am making a good food follow ur recipe. Ur all recipes very easy to make except Golap jamm. Thank u so much. Apa we r going to cele sovo novoborsy so everybody making one item so i am going to make a “rosogolla”. Inshalla ill be fine.Sovo novoborshow Apa. Hi I live in Gold coast in Australia. Best of luck for rosogolla. To me Golap jam is the easiest. my first dessert is this one. You will feel same way soon. I would love too have more bangladeshi pitha recipes. Keep on eye.I will try ..
is self raising flour is half cup ? Thanks Humayra. It will be 1/2 cup self raising flour. Most welcome. you can do mixed vegetables normal or Chinese style. If you want recipe for it, let me know. Thanks. It will be very helpful if you can give me Chinese style one. I like to do chinse style with chicken breast but you can even use prawn or egg. to make the dish colourful, choose different colour vegetables like cauliflour, green papaya, carrot, bean, capsicum, baby corn. cut the vegetables and except capsicum steam other vegetables. it is easy to steam in microwave.Cut boneless 250 grams chicken fillet into bite-size.Marinate it with 1/2 ginger paste, salt, white pepper powder and white vineger for 15 min. Heat 2 tablespoon oil in a non-stick pan and stir-fry them until tender and white. take out chicken breast and in same pan add chopped onion and saute for 2 minutes. Add 1/2 teaspoon ginger paste, sliced capsicum,3-4 sliced green chillies, chicken breast,steamed vegetables and salt. stir-fry on high heat for 2 mins. mix 1 cup water with corn flour and add in with vegetables. Stir constantly on med heat until the gravy thickens. Add Tasting Salt(optional), 1 tablespoon sugar and 1 tablespoon butter. Stir it and remove from heat. if you like soya sauce you can add soya sauce with chicken breast marination.Thanks. Do I need to boil these jamuns in syrup?or soak it warm syrup?normally I boil.but some times it became hard.sometimes turned out soft.How many hours I have to soak these jamun inside the syrup?Thanks in advance. soak into luke warm syrup. 1 hr is more than enough. hi i made this golap jam and it came out really wonderful .thank you for this easy recipe.hey ,once it socked when i take it off from the syrup can i use some mawa on the top.thanks again for this wonderful recipe. use 1/2 cup plain flour+ 1/2 teaspoon baking powder.Thanks. 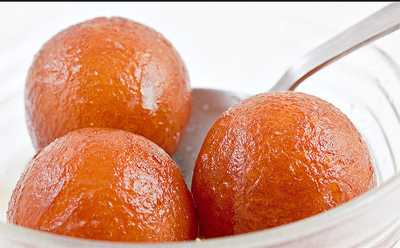 Hi I have tried your gulapjamun recipe but whenever I put them in oil after making round shape, it became out of round shape and some of them have broken.After giving to syrup most of them have broken.I followed everything of ur recipe. Taste is too good but its broken.Please suggest me what to do? Hi… i tried making this today. It was good until i soaked in syrup. It soaked well n stayed round. But when i tried to lift it up, it was so soft that it falls apart. What do u think i did wrong? Thanks. Hi rownak Apu. Amar rosgolla o venge jasse jokhon sugar syrap a dissi. But Apu ami 1 litter milk diye try korsi apnar recipe follow kore but kisutei hosse na. Rosgolla gulo venge syrup er sate mise jasse. I’m very upset. Pls help. I’m using baking powder instead of self raising flower. If you dont squeeze chhana properly(chhanay pani thakle, beshi baking powder use korle r kneading thik moto na hole misti bhege jay). hope next ei problem gul overcome korben. Thanks and Eid mubarrak. i can’t understand the measurement.for example, you use 2 cup milk powder.but 1 cup equal to how many grams? I’ll try to make it..
wow.. so nice.. and thanks for this recipe..
nice recipe.. tried out at home yesterday..was wonderful . keep sharing more misty recipe but in bangla..